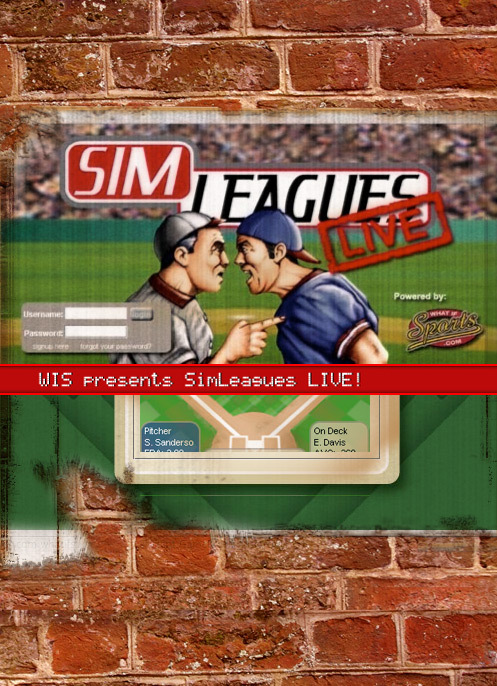 Play against another SimLeagues Live opponent or against the computer. You select your team and starting lineup. Make substitutions during the game. Give the steal sign, intentionally walk a batter, and more! Play one of your scheduled SimLeague games SimLeagues Live against the other manager. YOU make the decisions that help win the game! If your browser does not display the logo, then you should download the latest version from Sun here. You must be a WhatIfSports user to login. If you are not signed up, you may do so here.